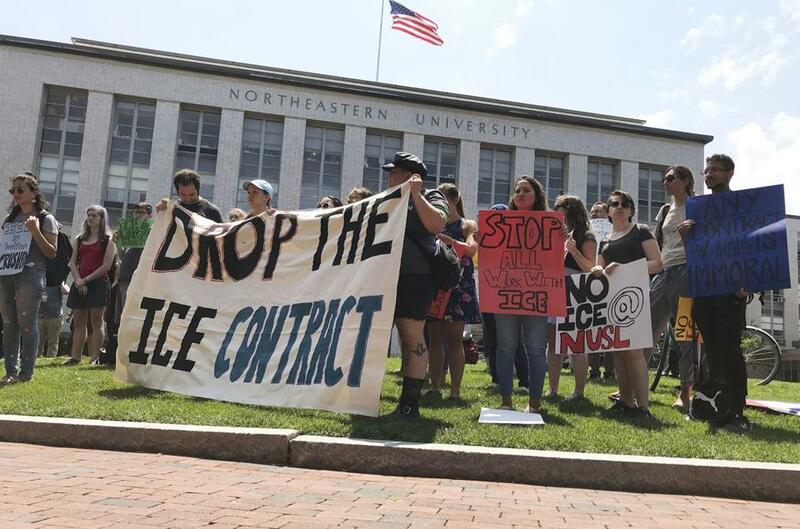 Students and community activists rallied last month at Northeastern University, demanding the school cancel a multimillion-dollar research contract with US Immigration and Customs Enforcement. GLENN PIERCE, a research scientist at Northeastern University’s school of criminology and criminal justice, does academic work that deserves public support. In a country where researching gun violence isn’t easy, he has done critical studies on illegal gun trafficking, gun control laws, and gun tracing over the last three decades. He’s also researched racial bias in crime investigations and in death penalty sentences. Two years ago, Pierce received a government grant to analyze data on US exports of “dual-use” items, which are products that can be used both for civil purposes and for manufacturing weapons. But Pierce, who’s also the director of the Institute for Security and Public Policy at the university, has been unfairly thrown into the current heated debate over US border immigration policy. Pierce’s multimillion-dollar research grant came from a subdivision of ICE, which is one of several government agencies tasked with enforcing export control laws. The agency has become the target of growing anger and frustration over President Trump’s inhumane immigration policies. Calls to #AbolishICE, while not new, have gained momentum in the last couple of months. Advocates are now targeting individuals and organizations doing business with ICE, even those like Pierce who have no connection to its immigration enforcement functions. Last week, dozens of activists marched to the house of Northeastern’s president, in Boston, to demand the university cut ties with ICE. 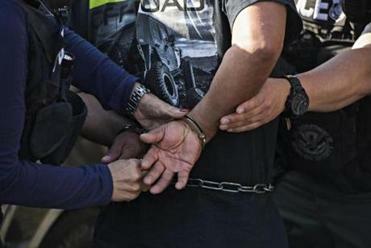 Eleven protesters, including some students, were arrested at the demonstration. President Trump has made dividing our communities the centerpiece of his governing strategy. More than fair enough. ICE’s small role in funding research is a misguided mark for protest, particularly at a time when government funds for valuable scientific research are drying up, threatening to slow scientific progress. The frustration with the Trump administration’s heinous immigration policies is understandable; it’s a basic tenet of political organizing that movements need enemies and, as the face of Trump’s policies, ICE makes an obvious target. But leaders, especially politicians like Ayanna Pressley and Elizabeth Warren who have signed on to the #AbolishIce cause, have an affirmative responsibility to make sure it’s not turned into scapegoating.